Awesome opportunity to own 2.5 Acres, already cleared. Build your dream home or even 2, this is a quiet and peaceful area ,yet close to all shopping and family needs . Minutes to I-75 interstate for work travel. Bring Horses and/or all of your animals. No need to worry about Scrub Jays here! Great location to raise a family with no deed restrictions. Possible other connecting parcels available. 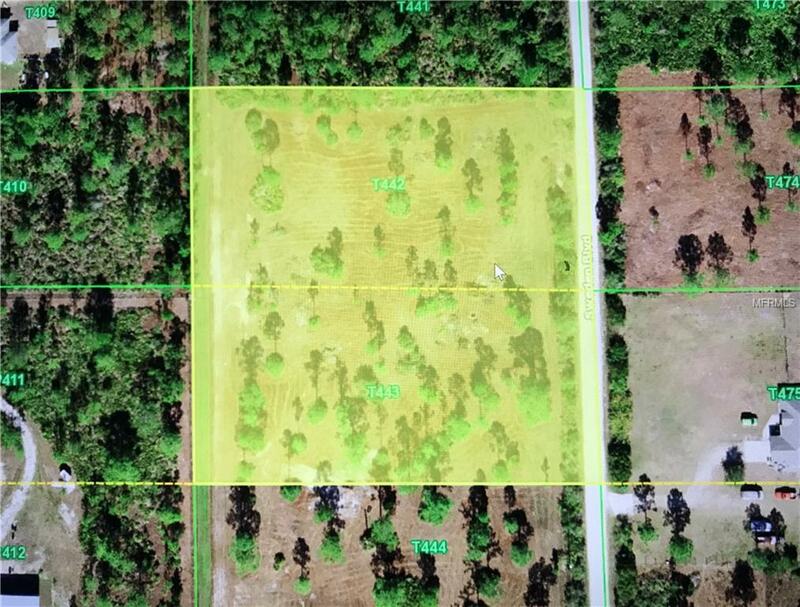 Also seller will divide and sell half of this listing ("1.25 AC") [Lot 442] for 22, 500.